Pope Francis has decided to set up a “World Day of Prayer for the Care of Creation” which will be celebrated each year on September 01st annually. He made the announcement in a letter he sent to Cardinal Peter Turkson, President of the Pontifical Council for Justice and Peace and Cardinal Kurt Koch, President of the Pontifical Council for the Promotion of Christian Unity. The celebration of this day is on the same date as the Orthodox Church which has been observing it now for about two decades. Following the announcement of Pope Francis, Lutheran World Federation and some Anglican Communions have also come forward to join the celebration. In the letter, the Pope reaffirmed how part of our responsibility as Christians involves resolving the ecological crisis which humanity is presently experiencing. In doing so, he stressed, we must first rediscover in our own "rich spiritual patrimony" the deepest motivations for our concern for the care of creation and how Jesus lived in the world. The celebration of this day on the same date as the Orthodox Church, Pope Francis stated, will provide a valuable opportunity to bear witness to our growing communion with our Orthodox brothers and sisters. At the conclusion of General Audience on August 26, 2015, Pope Francis announced that next Tuesday, Sept. 1, the World Day of Prayer for the Care of Creation will be celebrated in St. Peter's Square. The Holy Father said that on Tuesday at 5 p.m. there will be a Liturgy of the Word with bishops, priests, consecrated persons and lay faithful of the Roman Curia in St. Peter's Basilica and he invited Romans, pilgrims and all those who would like to participate. He shared this, stating, "In communion of prayer with our Orthodox brothers and with all good persons of good will, we wish to make our contribution to the surmounting of the ecological crisis that humanity is experiencing." 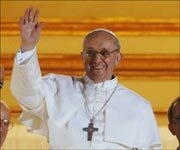 "Throughout the world," Pope Francis continued, "the various ecclesial realities have planned opportune initiatives of prayer and reflection, to render this Day an intense moment, also in view of the assumption of coherent styles of life"
More Missionaries News Updates Click Here!! !